November 19th, 2015, marks the 10th year anniversary of the founding of the Republic of Zaqistan, and to celebrate Twilite Lounge is hosting an Independence Day party. CUAC is buying a beer for every official Zaqistani citizen in attendance, and Zaqistani citizenship can be applied for and granted by Rep. Michael Abouzelof at a pop-up kiosk in the bar. Citizenship is free for those who meet the criteria of truly wanting it. This event will be followed up by an academic symposium held at CUAC on December 3rd. On that night, we will be discussing the concepts behind Zaqistan, the recent media frenzy, as well as how the micronation fits with the history of Utah. In case you are unaware, here is a quick background on Zaqistan. 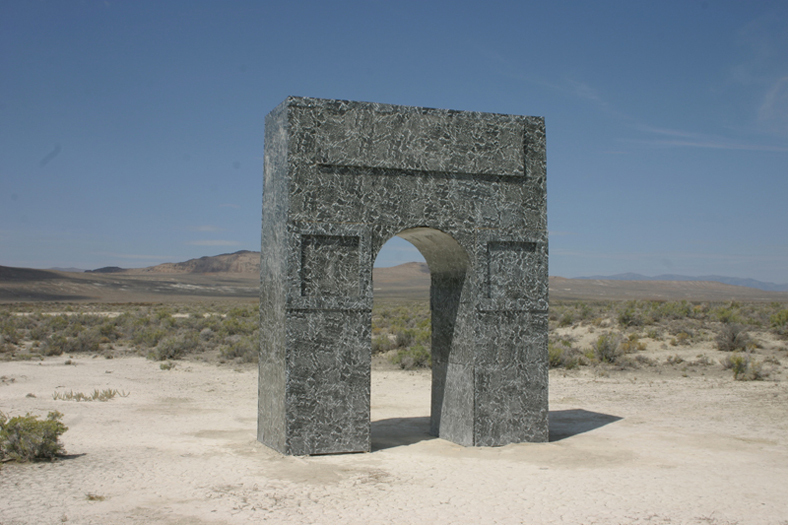 In 2005, New York artist Zaq Landsberg purchased two acres in a remote Utah desert for $610 off of eBay. After venturing out to the land that summer, Landsberg and a few friends who would become the first Zaqistani citizens declared independence from the United States and founded the Republic of Zaqistan. Ten years later, and with the help of writer Michael Abouzelof, Zaqistan has morphed into an international phenomenon that calls into question what it means to be a nation is in the first place. 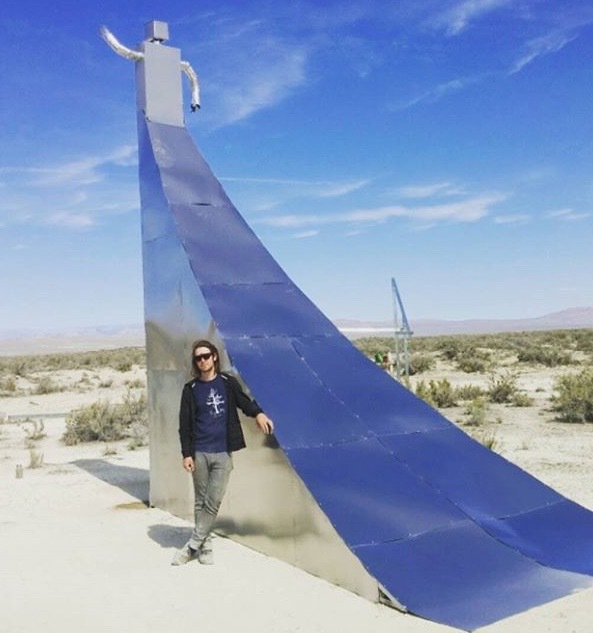 Over time, Landsberg has built an array of monuments and public works on the land, including a Victory Arch, a customs booth immigration station, and robotic sentinels that protect the borders. 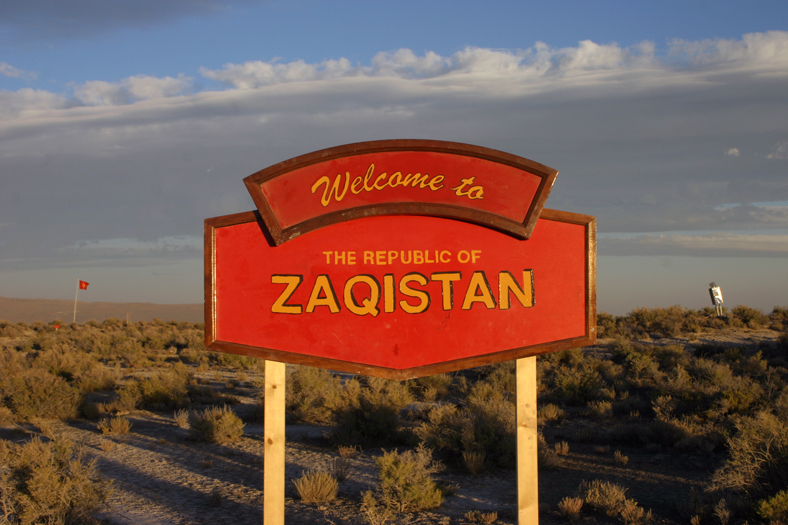 Zaqistan has opened a temporary Embassy in Buenos Aires, Argentina and a Consulate-General in New York City in 2012. The Zaqistan State Department has issued more than 175 passports to date, and more than 300 people around the world hold Zaqistani citizenship. Described as a “sovereign nation” by Conan O’Brien, “conceptual art project turned into a literal example of nation-building,” by Vice Media and acknowledged by US Congressman Rob Bishop (R-Utah) as a “country,” the Republic of Zaqistan exists on a multitude of different levels. While public figures joke about the micronation, refugees from around the world have sought asylum there. It is a plot of land, a severely weathered sculpture garden, a national identity, a conceptual art piece, a de-facto sovereign nation, and a probe into the meaning of sovereignty, legitimacy, nationalism, perception, and reality. To date, Zaqistan has been reported on in 40 countries and in more than 27 languages. It has been featured in Vice, the NY Daily News, PEOPLE Magazine, ARTE (France), The New York Times, Deseret News, KSL, WGN Radio, New York Magazine, U.S. News & World Report, USA TODAY, Fox News, The Daily Mail, The Telegraph, The Washington Post, The San Francisco Chronicle, Yahoo! News, Business Insider, The Seattle Times, The Miami Herald, The Denver Post, SFGate, Salon, DunyaNews Pakistan, Emirates 24/7, Irish Examiner, Egypt 1, Singapore News, Kenya Central, and many others. Michael Abouzelof is a writer and representative of the Republic of Zaqistan. 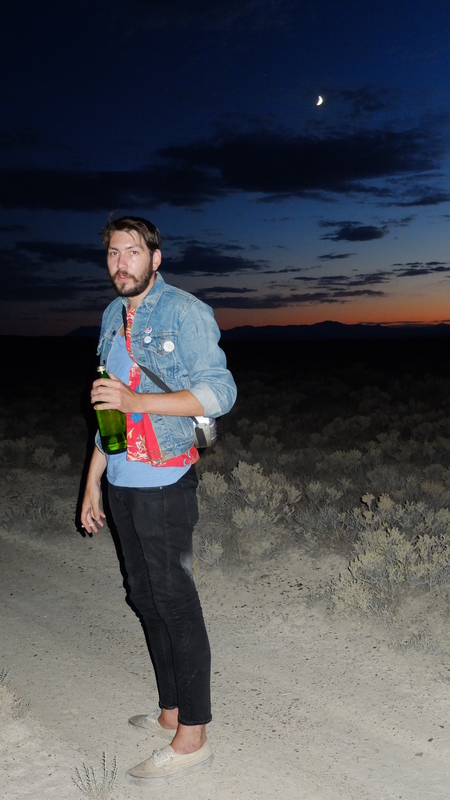 In the past he has been described as “a living example of the dysfunction of the American medical system.” Currently writing for VICE Media, he specializes in radical economics with a pop culture twist, late night existential discourses, and potentially treasonous conceptual art projects. CUAC, formerly known as the Central Utah Art Center, is an artist-run contemporary art venue located in the heart of Salt Lake City. Their aim is to continue to be a pioneer in contemporary art in Utah and to take a multifaceted approach to community development through education, exhibitions, symposia, criticism, education about art collecting, and collaboration. Twilite Lounge is a Salt Lake City dive bar that has been in operation since 1947. Home to an assortment of people from all walks of life, it is a popular neighborhood spot for young and old alike. On the night of the decennial party, they will be serving an assortment of drinks that feature the finer points of Zaqistani mixology. The Salt Lake City event on November 19th is part of a global celebration of Zaqistanis coming together to mark the country’s decennial. Concurrent festivities will be held in New York, Los Angeles, Buenos Aires, Amsterdam and Paris. The event is free and open to anyone 21 and older. The symposium on December 3rd will be held at CUAC. The discussion will be held from 6–7, followed by a general mingling from 7–8. It is free and open to all. Contact zaqistanslc@gmail.com for more information. Zaqistan is located in the most hostile, unforgiving environment than anyone could have the misfortune to experience. It makes Skull Valley look like a water park. In essence, there is no reason to ever go there, yet somehow Zaqistan survives in the unrelenting heat of an alkaline desert, thriving in the absurdity of its existence. If I was to offer one thing to say about Zaqistan to potential visitors, it would be this—don’t go. It’s a fucked up place. African Bushmen would describe Zaqistan as an impossible environment to scrape a meager existence from; ancient Greeks would have attributed the barren flats to a vengeful Hades. But if you are masochistic enough to visit this merciless land, you’ll definitely have an experience. 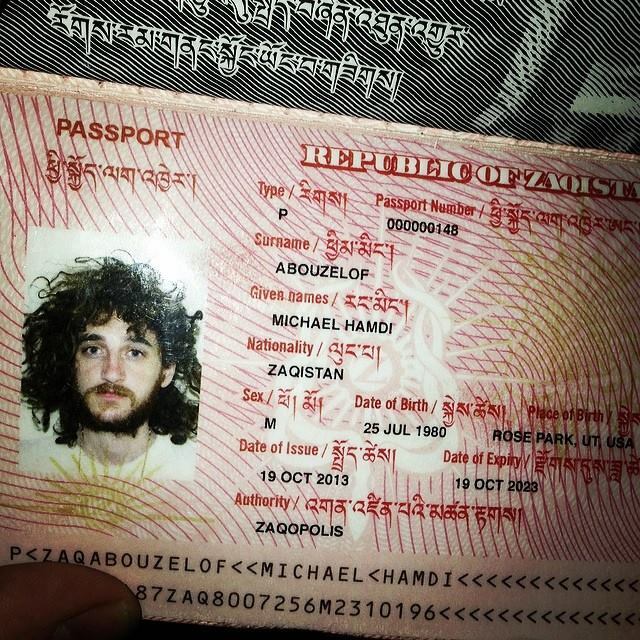 As far as I know, the first step to visiting Zaqistan is letting two kids from New Orleans, one from Chicago and another from New York sleep on your floor in Salt Lake City. 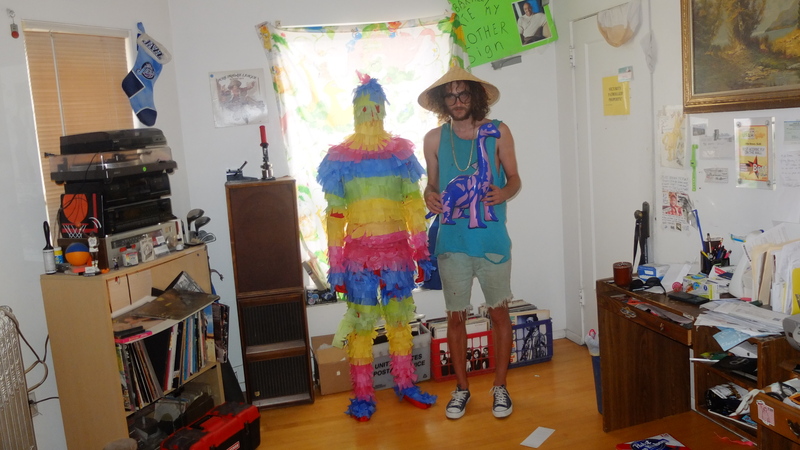 Then you watch one of them meticulously create a piñata costume as he tells you about his homeland. From what I’ve gathered, renowned global explorer Zaq Landsberg founded Zaqistan in 2006. He’d fallen into a little (not much) money and decided on a whim to purchase approximately two acres of the old Bonneville Sea bed on Ebay for $600 dollars. 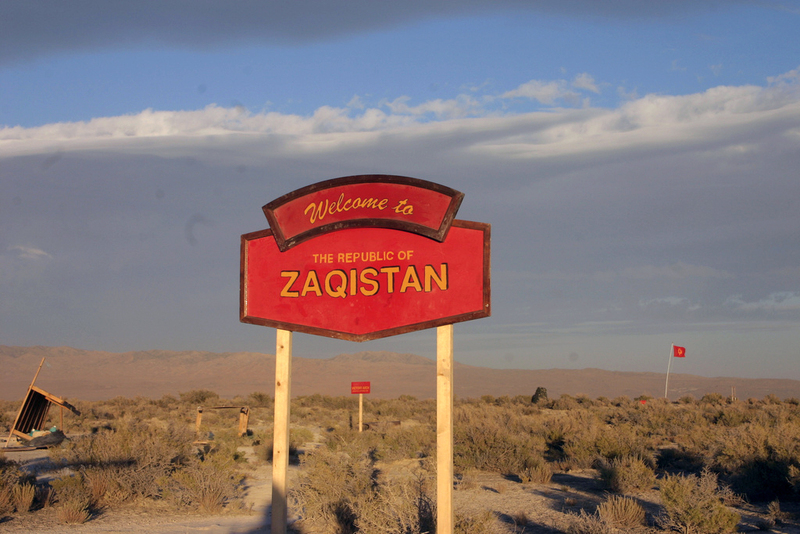 When prodded, Zaq gave his reasoning for the acquisition as, “Getting a little piece of the American West before it was gone.” Judging by Zaqistan’s incredibly remote location, that’s not going to be a problem anytime soon. Its original embassy was located in Argentina, but for a while it was located in an art gallery in Manhattan, a stone throw away from the United Nations building. Although there are a number of people who have dual citizenship with Zaqistan, for the vast majority of the time the official population is zero. Nobody lives there, and nobody blames them. Resting as the only independent nation within the contiguous United States (outside of Native Reservations), Zaqistan is ridiculous, just like this sentence. 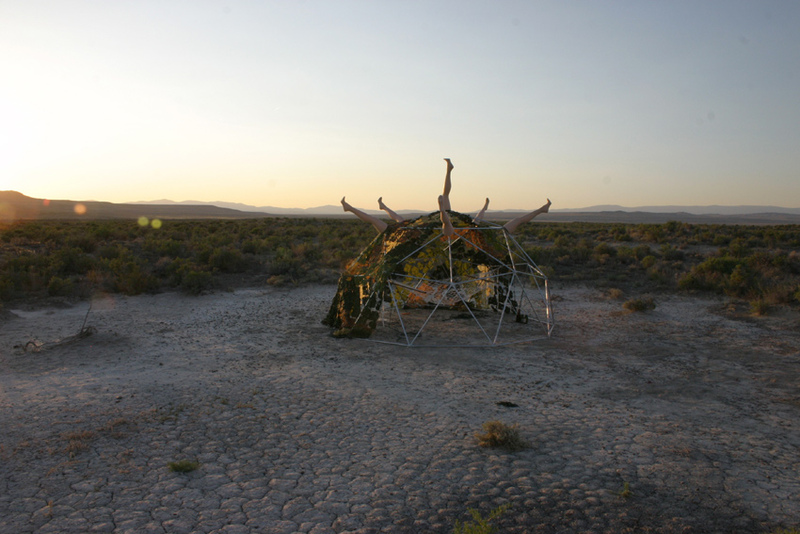 Although the land does appear to be unsustainable for any form of life, extremophiles like sagebrush and rattlesnakes live there in abundance out of sheer absurdity. Cubans often use their Zaqistani passports to appear as tourists, as the passports look so legit and Zaqistan is so obscure that cops are dumb enough to believe them. My passport should be arriving in the mail any day now. I’m planning on using to pick up on easily confused girls. Like all proud nations, Zaqistan has a number of monuments that highlight its history and achievements. Most impressive of all is the Triumphant Arch, which stands out against the nothingness with a brilliance of sheer existence. 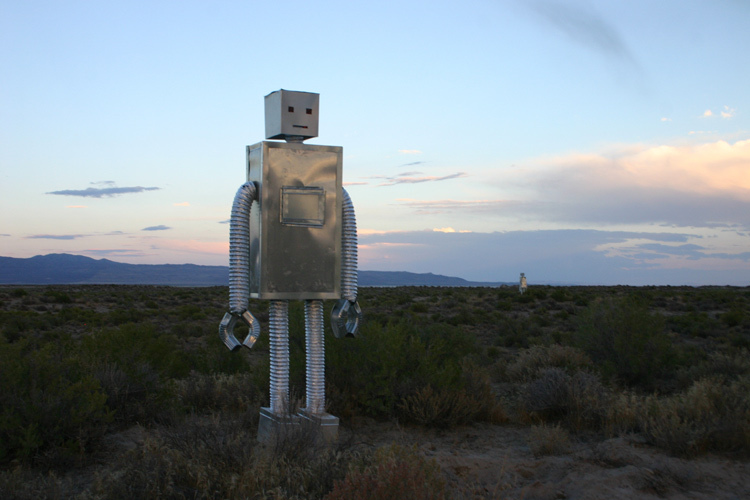 The robots tend to be a popular tourist attraction for the younger generation, and the Zaqistani flag is a prominent fixture visible from every border. There’s also a lot of sagebrush. The Zaqistani national pastime includes shooting guns at bottles, drinking an irresponsible amount of alcohol, setting off fireworks and fashion photography. It’s a formidable place. Crime levels are low in Zaqistan based on liberal socialist laws and the utter lack of anyone. Health care is free if you bring a first aid kit. If you’re trying to find Zaqistan in person, it’s suggested you know how to operate a compass, as the obscure directions you will receive by email include geographical coordinates that aren’t going to help. The compass is there to provide a fleeting feeling of hope. The dusty roads leading into the nation are convoluted and lacking signs, so it’s better to show up before dusk. Since phone service is does not exist in Zaqistan, contact with the outside world is scarce. If you end up getting a flat tire in the land and your spare also happens to be flat, you’re fucked without ingenuity. Zaqistan runs on ingenuity. It’s their main import and export. They import and export a lot of it. The capitol Zaqopolis can be difficult to navigate for first timers, but once one learns to use The Zaqopolis as a central landmark it becomes almost impossible to get lost. What appears to be a monkey bar dome adorned with loose camouflaged netting and a number of female mannequin legs take on a special significance when you realize it marks the only shade for fifty miles. Indeed, it is the cultural hub of Zaqistan during the day, and the majority of political decisions take place under its cover. Cover is something highly valued in Zaqistan, as finding a shady spot of repose is the only way anyone can survive in its unceasing heat. Survival in Zaqistan is important. Surviving in Zaqistan is difficult. If you are capable of living long enough to see the sites, there are a number of breathtaking postcard-worthy landmarks to visit. The Guardians of Zaqistan stand vigilant over the land at times when it’s deserted, protecting the small nation from would-be intruders. Towering over the landscape is Mt. Insurmountable, the highest point in Zaqistan. Anyone daring enough to risk ascending the summit is guaranteed to be rewarded with unrivaled view of all of Zaqistan. If you travel to Zaqistan with someone unfamiliar with the concept of “roughing it,” expect them to yell at you for hours at a time as you drink 40s of Mickeys and stumble around in the darkness. Don’t panic; it won’t help. Instead you should focus on finding the gold skulls of long deceased animals that mark the cryptic trail to Zaqistan, and if all else fails, try to hear the gunshots being fired into the night sky. You won’t hear them mostly because the deadening effect of the dried seabed eliminates all forms of echolocation, but it’s nice to have a false sense of hope. If your companion has given up his false sense of hope in exchange for a true sense of doom, explain that nothing has killed you yet, and at the very least death comes quickly in Zaqistan, which means you won’t suffer for long. If your companion explains that the duration of suffering is less important than the magnitude of suffering, continue drinking. More than anything, it’s important to maintain a loose form of consciousness at all times, as hyper-awareness is problematic in irrational scenarios. You probably already have your hands full; there’s no need to make things more complicated by recognizing how close you are to death. Denial is key to sensibility in Zaqistan. After your stay in Zaqistan, it is recommended you stop by the closest cowboy bar, a quaint little joint near a lone gas station in a town famous for refusing to die. Get a hamburger. Also get a shot and a beer. Congratulations! Somehow, against the odds, you survived to tell the tale, and now you can talk about something with bizarre authority, where every answer you offer can only be met with more questions. Zaqistan builds character, which you already must have had if you went there in the first place, and are now following in the footsteps of giants like Professor Wexler, world explorer.